Gov. Bruce Rauner vetoed a measure Friday that would have appropriated $3.9 billion for higher education and social services for the current fiscal year. The bill was previously approved in April by both houses of the Illinois General Assembly, which are both controlled by Democratic majorities. 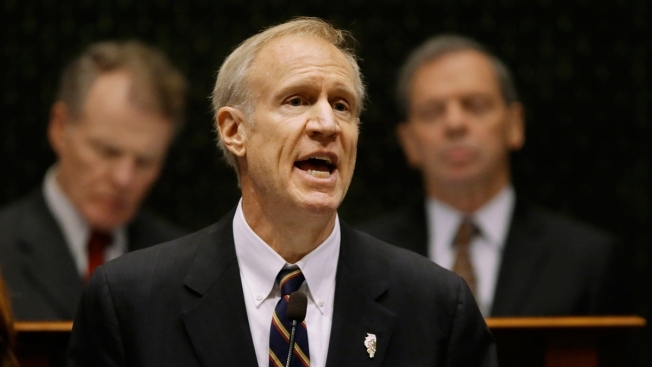 Rauner called the legislation an “unfunded, empty promise” Friday. The state has been without a budget since July of last year. As a result, the state’s higher education and social services have struggled significantly. Despite a push for bipartisan solutions, the General Assembly adjourned last Tuesday without passing a budget. Senate President John Cullerton’s office claimed to be disappointed by the veto, but remained confident that Rauner would “do the right thing” and sign a bipartisan, emergency budget for human services. The state has relied on court orders and consent decrees for funding over the course of the impasse and has failed to make payments for certain schools and services because money was not appropriated in a budget. As a result, a group of Illinois-based human and social service agencies and companies filed a lawsuit against Rauner and members of his administration in May seeking payment for over $100 million. An early-childhood-education nonprofit led by the governor’s wife, Diana Rauner, joined the lawsuit later in the month. Additionally, Chicago State University was forced to lay off more than 300 employees in April after cutting the semester short to save critical funds. Rauner continued to urge lawmakers to pass a comprehensive, balanced budget for this fiscal year and the next after vetoing the measure Friday. The governor also decried the state’s cash-flow problem, which includes a bill backlog of over $7 billion. Rauner has been touring the state since last Wednesday pushing stopgap measures to fund schools and other essential government services. Rauner said he created stopgap measures because school funding was integrated into House Speaker Mike Madigan’s budget proposal, which he says is $7 billion out of balance. During the tour, the governor has also said that Democratic lawmakers were relying on Illinois taxpayers to bail out Chicago Public Schools and that their funding plan would require tax hikes. “They put school funding inside the large, unbalanced budget, integrated it so I can’t separate it, so they can hold up school funding for the massive unbalanced budget that’s going to force our income tax up over 5.5 percent,” Rauner said. But without money appropriated, schools might not be able to open in the fall. Illinois Comptroller Leslie Munger delivered a stark warning about the negative effects of a prolonged budget impasse Thursday. She warned about the $23 billion in spending for things like schools, health and human services and higher education that would stop if legislation isn’t passed in Springfield. “The facts are that our social service network is being torn apart, that our most vulnerable residents are losing critical services, that our colleges and universities, many of them, are on the verge of collapse, and that businesses and organizations throughout our state are being forced into mass layoffs that leave families with no way to meet their financial obligations,” Munger said Thursday. "All of this is happening because leadership in Springfield has refused to pass a budget and that's unconscionable." Given the state's dire financial outlook, Munger claimed "a stopgap would be better than nothing,” but pushed for a full, balanced budget Thursday. Additionally, Illinois’ credit rating was downgraded by two agencies this week, Moody’s and S&P. Rauner’s office issued a statement on the downgrade Thursday, placing blame on Democrats. “Every rank-and-file Democrat who blindly followed the Speaker down this path is directly responsible for the downgrade,” the statement added. House Speaker Mike Madigan responded Thursday, blaming the governor for the downgrade. "It's an outrage that we have gone nearly a year without a state budget," Madigan said in a statement. "This downgrade is directly attributable to Governor Rauner's reckless decision to hold the state houstage for more than a year and to create the crisis he desired. “The governor's own proposed budgets are billions of dollars out of balance, and, for almost a month, a bipartisan plan to provide emergency funding for human services providers and our most vulnerable has languished on Governor Rauner's desk,” Madigan added.